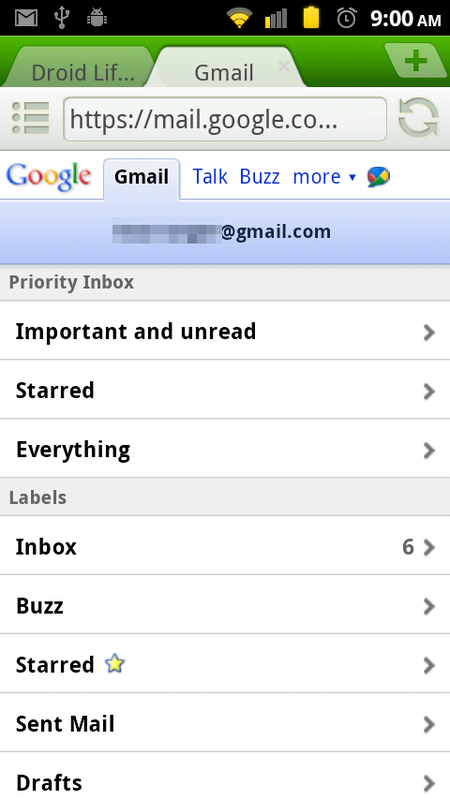 Priority Inbox in Gmail is nothing new to Android users since it was introduced into the native app back in December, but for some reason if that app were to ever go down, you’ll have peace of mind knowing that the browser version is equally as good. Simply visit mail.google.com from your phone’s browser and start enjoying a feature that has quickly become our favorite. Available to anyone running Android 1.5+. Silly. Thunderbolt Launch Delayed by Verizon, 4G Mobile Hotspot as Well?